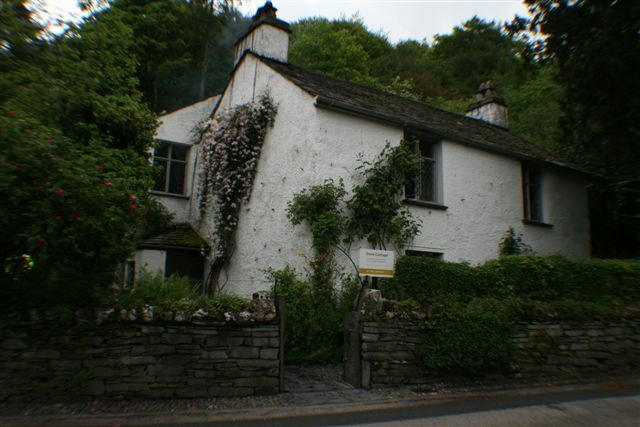 One of the main attractions within the village of Grasmere is Dove Cottage which was the home of William Wordsworth from 1799 through to 1808, paying £5 per year rent. It was at Dove Cottage that William Wordsworth wrote much of the poetry he is best remembered today, including “I wandered Lonely as a Cloud”, whilst his sister Dorothy kept her famous ‘Grasmere journals’. Dove Cottage was originally constructed in the early 17th Century and like many buildings in the Lake District is made from local stone with white lime washed walls to keep out the damp. For over 170 years the building was an inn called the ’Dove and Olive’. The inn closed in 1793 and it was not until 1799 that William Wordsworth and his sister Dorothy came to move in. With the marriage to William, Mary Hutchinson arrived in 1802 and their three eldest children were born at Dove Cottage, John in 1803, Dora in 1804 and Thomas in 1806. Mary’s sister Sara Hutchinson and William’s friend Thomas De Quincy also lived at the small cottage. The Wordsworth family had many visitors to Dove Cottage being family and friends such as Walter Scott, Thomas De Quincy, Charles and Mary Lamb, Robert Southey and most frequent of all Samuel Taylor Coleridge. As a result and with the Wordsworth’s growing family this meant that Dove Cottage became too small, and in the May of 1808 they moved to Allan Bank, although still within the village of Grasmere. On leaving Dove Cottage the Wordsworth’s were succeeded at the cottage by their young friends Thomas De Quincy and Mary Wordsworth’s sister Sara Hutchinson. The downstairs rooms of Dove Cottage you may visit are the general living room, kitchen and buttery, while upstairs you may visit Dorothy’s bedroom, William’s study and the guest bedroom and the children’s bedroom. A guide will firstly take you on a 20 minute tour of the cottage and then you are also free to wander around the cottage at your leisure. In 1891 the Wordsworth Trust was founded to secure Dove Cottage. The Trustees have built an award winning museum, first opened in 1981, which together with the Wordsworth library houses what is one of the greatest collections of manuscripts, books and paintings relating to British Romanticism. The Jerwood centre was completed in 2004 as a secure, long term home for the museums great collection. The Dove Cottage tea rooms provide meals and snacks throughout the day made from good quality locally produced foods, with evening meals being available during the high season. The tea rooms and museum are a great place to commence or finish some of the great local Grasmere walks such as Alcock Tarn Walk which is situated upon the fells to the rear of Dove Cottage. 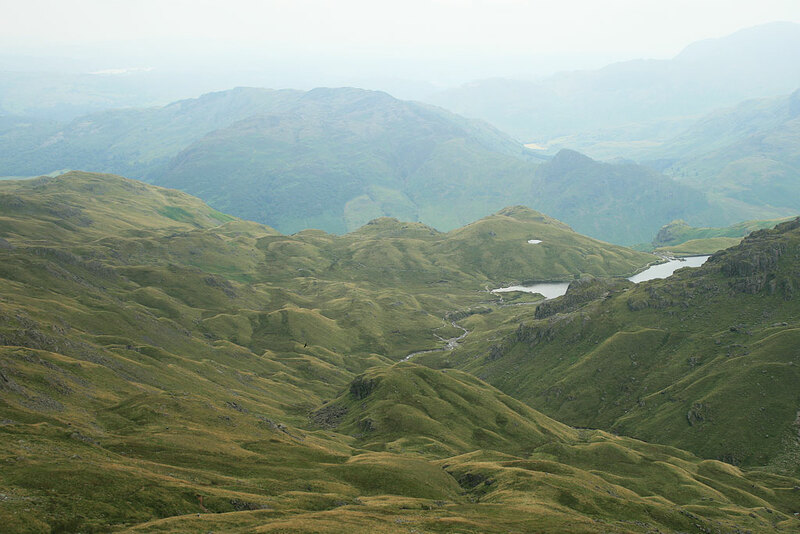 A favourite walk of William and Mary Wordsworth was Easedale Tarn walk with the spectacular Sourmilk Gill. There is an excellent shop located close to Dove Cottage selling books, gifts and crafts relating to English literature and the Lake District. Should you wish to see better quality photographs of this Dove Cottage at Grasmere article please visit Lake District Walks Flickr account. Please feel free to comment on Dove Cottage Grasmere share or even hit the Face Book like button.